The last round of testing for the 24 Heures Motos is complete. Two days of just-concluded private tests at Le Mans gave teams a chance to lock horns before the 2nd round of the 2018-2019 FIM EWC. Going by their performances, we have a spectacular and hotly contested race in store on the Bugatti circuit on 20 and 21 April. After some hard work over the winter break, the teams will be getting to the 24 Heures Motos better prepared than ever. 50 of the 60 entries were on the track at Le Mans this week for two days of private tests. Despite fickle weather and a cold track, some of the favourites seized the opportunity to cut a swathe and make their ambitions clear to their rivals. Team SRC Kawasaki France and YART Yamaha are already neck and neck. 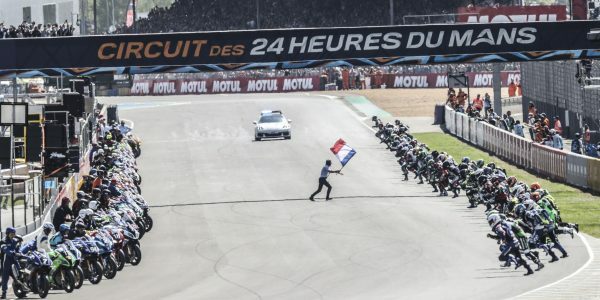 With Jérémy Guarnoni, David Checa and Erwan Nigon in the saddle of a ZX-10R 2019 that looks to be cured of its mechanical foibles, Team SRC Kawasaki France came out on top with a 1:36.404 lap. The fastest FIM EWC race lap so far was 1:36.408 and the quickest qualifying lap was 1:35.730, both established by Randy de Puniet for Team SRC Kawasaki France in 2017. So we can expect some new records on the Bugatti circuit at the 2019 24 Heures Motos. YART Yamaha, who are always very fast in testing, returned Kawasaki’s fire with a 1:36.526 lap. 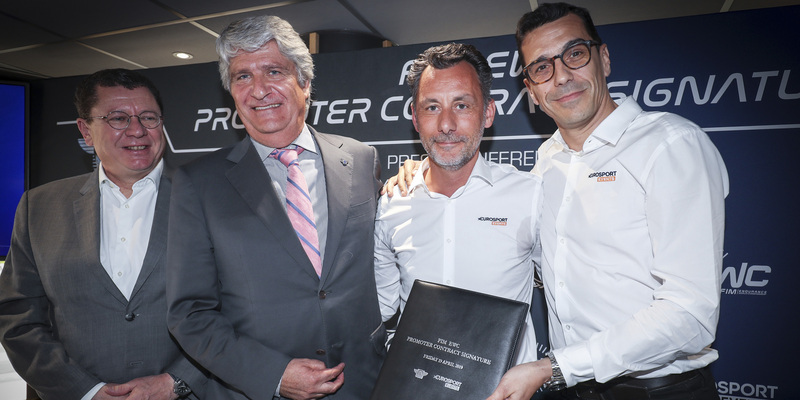 At the Bol d’Or, Broc Parkes, Marvin Fritz and Niccolò Canepa combined speed with determination to take the second step of the podium despite a crash early on in the race. An EWC newcomer is already throwing the favourites off kilter. VRD Igol Pierret Expériences (as the Viltaïs team are now known) set the third-fastest lap of the tests on Wednesday. The winners of the 2016-2017 Superstock Endurance World Cup, the Yamaha-supported team will be right up there with the leaders thanks to a superb rider line-up comprising Florian Alt, Xavier Siméon, Florian Marino and David Perret. These tests were more work-focused than a lap time-faceoff, but even so, VRD Igol Pierret Expériences bested factory teams like Honda Endurance Racing (Sébastien Gimbert, Yonny Hernandez and Randy de Puniet), ERC-BMW Motorrad Endurance (Kenny Foray, Julien da Costa, Mathieu Gines and Jan Bühn), F.C.C. TSR Honda France (Josh Hook, Freddy Foray and Mike Di Meglio), reigning world champions and winners of the 2018 24 Heures Motos, and Suzuki Endurance Racing Team (Vincent Philippe, Etienne Masson, Gregg Black and Greg Leblanc). All these teams are within half a second of each other. The tests presage a very close fight at Le Mans on 20 and 21 April. 3ART – Moto Team 95 (Alex Plancassagne, Matthieu Lussiana and Morgan Berchet) also made quite an impression. The Yamaha-mounted team, also EWC newcomers, set the 8th-fastest lap on Wednesday ahead of Moto Ain (Roberto Rolfo, Robin Mulhauser and Stefan Hill sur Yamaha), the best Superstock team of the tests. Close behind them were Bolliger Team Switzerland (Roman Stamm, Sébastien Suchet and Nigel Walraven on Kawasaki), a solid and experienced team who took 4th place at the 2018 Bol d’Or. The first official free practice session on Thursday 18 April will throw up a full picture of the likely pecking order for the 60 teams competing in the 42nd edition of the 24 Heures Motos.